Elizabeth Mason. As a former politico, she combined her love of fashion with her knowledge of the active woman and opened a one stop shopping destination. Over the past six years, Periwinkle has become the premier location in the Washington, DC area to find the complete outfit. Whether you are an on-the-go mom or a professional working woman, Periwinkle strives to dress our customers from head to toe. 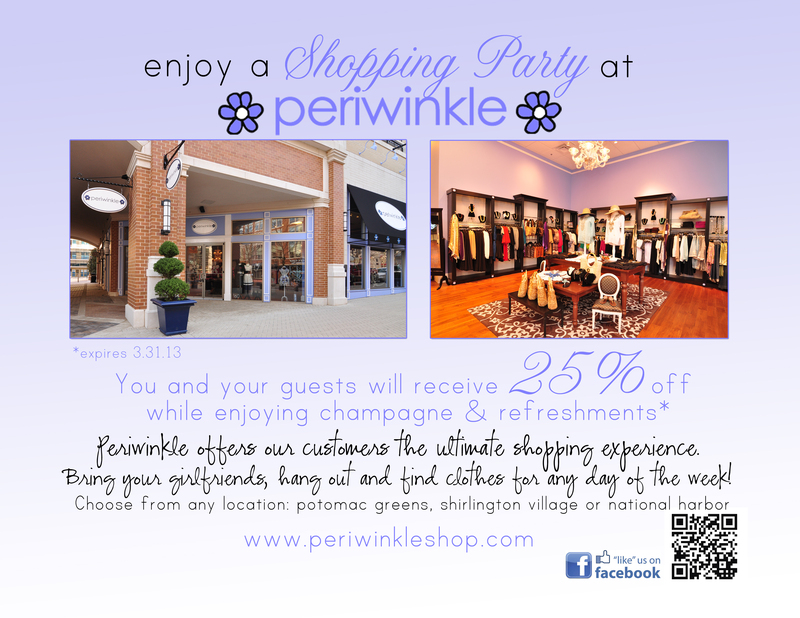 Because of Periwinkle’s unique niche, a second location opened in March 2010 at Shirlington Village and a third location in December 2011 at National Harbor. Each Periwinkle location carries different merchandise, offering our customers numerous options- from new emerging designers to many well established favorite designers. Periwinkle is a place that feels like home, where you are greeted with a welcoming smile and knowledgeable sales associates. 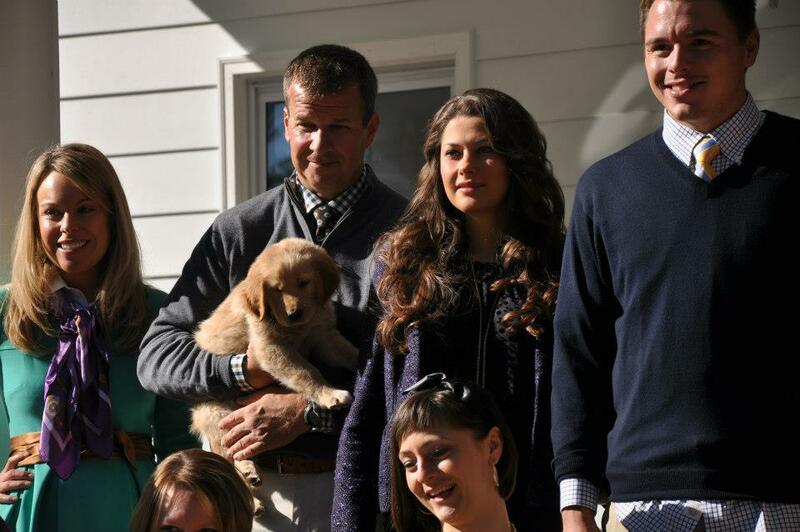 Our customers find shopping at Periwinkle to be the ultimate shopping experience.